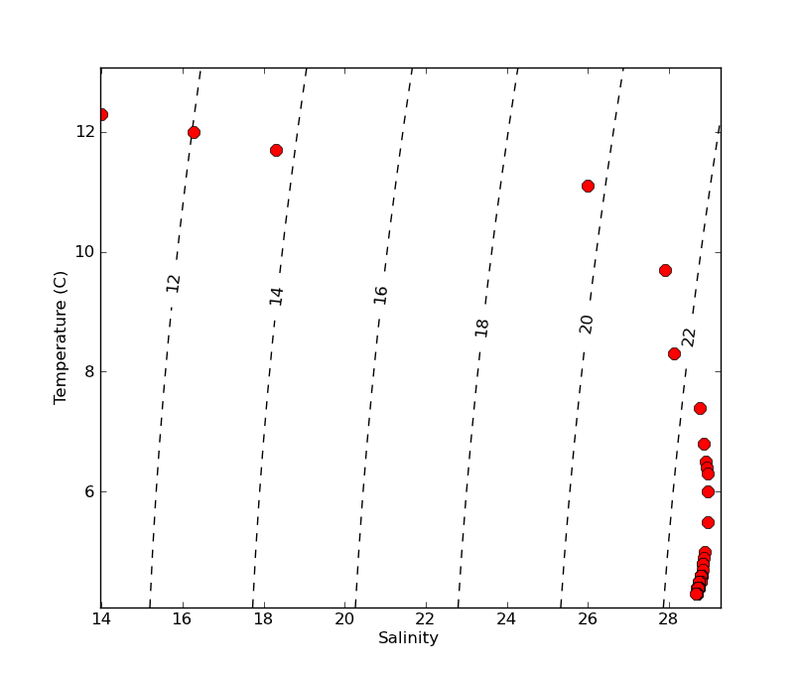 Make a temperature-salinity (TS) diagram from a CTD profile. TS diagrams show density isolines as reference and are useful to identify different water masses. 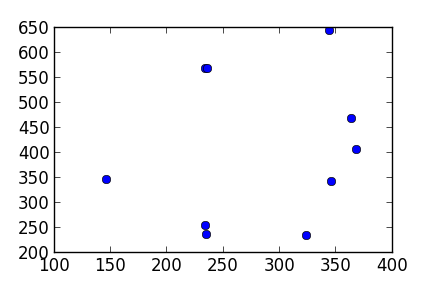 This example follows the simple tutorial on how to Plot a CTD profile… and uses the same CTD_profile.csv file. This tutorial needs the Python Seawater Package (download HERE, or see documentation HERE). 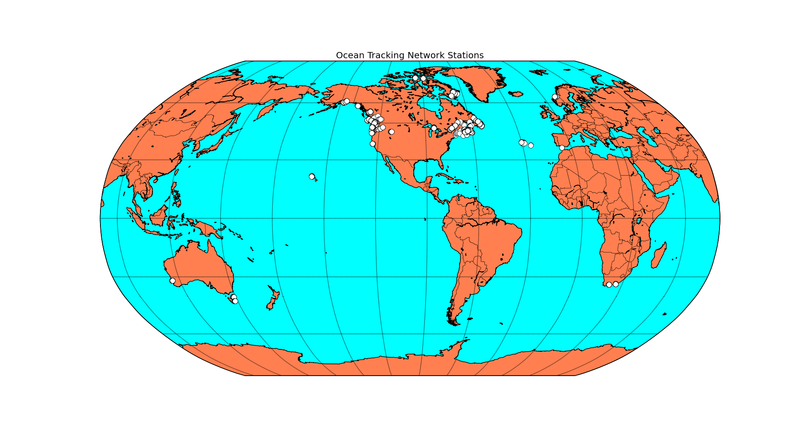 This script (contributed by Robert Branton) shows how to make a map showing the station locations of the Ocean Tracking Network (OTN). 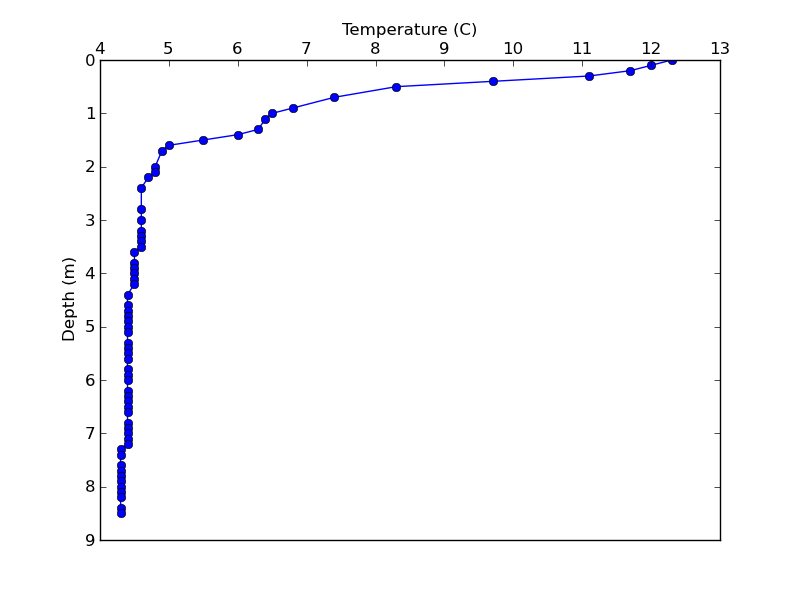 Here we import data from a .csv file containing data from a CTD profiler (depth, temperature, salinity and fluorescence). 1. First, download the CTD_profile.csv file, and put it in your working directory. FREE! | Python operates under an open source license that makes it freely usable and distributable, even for commercial use. Designed for fast development | Python is an interpreted language that allows you to run code without having to compile it first. This saves time! General purpose | Unlike languages that were originally developed for a specific purpose, like statistics (R) or matrix manipulation (Matlab), and then were later expanded to tackle other problems (i.e. specific-to-general approach)… Python started as a general purpose language, therefore it has been used to develop a VERY wide array of specific-purpose applications or packages. Runs everywhere | Windows, MAC, Linux and other. Python was developed in 1990 by Guido van Rossum (used to work for Google, now he works for Dropbox). Why should I learn programming? If you tried to open you data file in MS Excel and you got a message saying “Excel cannot open files with more than 30,000,000 rows”… you need to learn programming. If your expensive GIS software lacks a “button” or a tool to do exactly what you need to do… you need to learn programming. If you spent more than 10 hours doing monotonous copy-pastes or drag-n-drops in your favourite spread sheet… and you figure you have another 100 hours to go… you may want to conciser to learn programming. If you need to do the same graph or the same calculations more than a dozen times… you may want to conciser to learn programming. “Button-based” software vs. “programming-based” software. Programs that provide “buttons” or a Graphical User Interface (GUI) are easier to figure out on your own. However, they are very limiting… that is, if there’s no “button” to do what you need, you simply cannot do it. As a rule of thumb, tasks that a LOT of people need to do, often motivate programmers to develop a “button-based” program to perform such tasks. However, tasks that only some odd ones need to do (e.g. scientists) are not enough to motivate the development of GUI-based programs, or if they do, the resulting GUI-programs are VERY expensive. Ocean- and marine-scientists are often working at the edge of knowledge, trying to discover the unknown by means of new an innovative tools and techniques. Therefore these scientist often need to do analyses or graphs that can only be done using programming-based software. If so, their choices are (1) learn a programming language themselves, or (2) hire a student or a research assistant that knows programming. THEREFORE, students that know a programming language are more employable than students who don’t…. and that alone is a good reason why to keep reading. If you decided to go ahead and learn a programming language, the next step is to figure out which programming language to learn? Answer: If you are a new student starting your MSc or PhD… you may want to learn whatever programming language your fellow (more senior) students already know. Having a “buddy” programmer is key. However, if you are not tied to any language, you may want to learn a free (i.e. open source) programming language. Check R and, of course, python. Method 1: Open the whole file as one big string. Method 2: Open the whole file at once as a list of lines (i.e. each element in list = one line of the file). Method 3: Open a file “line-by-line”. This method doesn’t use a lot of memory (one line’s worth of memory at any given time), so it is good for really large files. print line, # note, coma erases the "cartridge return"
Global RTOFS is a data-assimilated product from NOAA’s Environmental Modeling Center. The Satlantic LOBO is a ocean observatory moored in the North West Arm (Halifax, Nova Scotia, Canada). 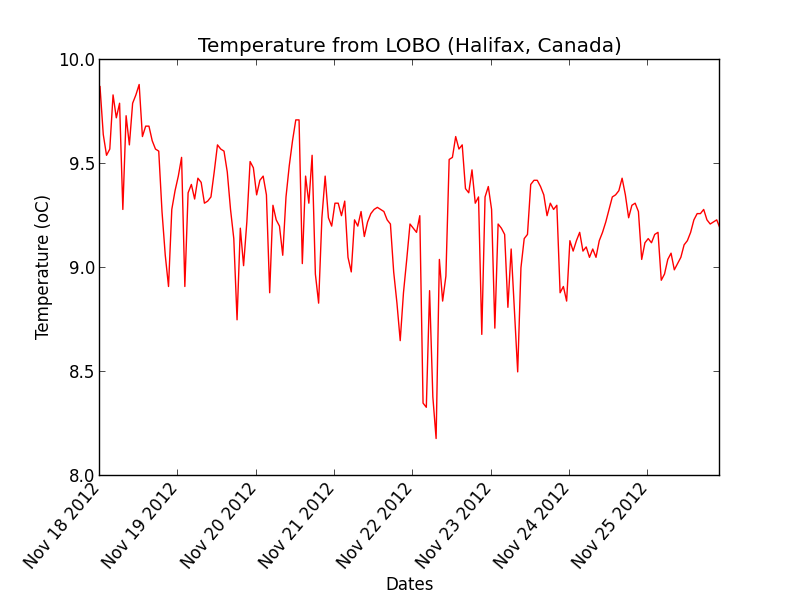 In this post, we’ll query the LOBO server to create a temperature plot.